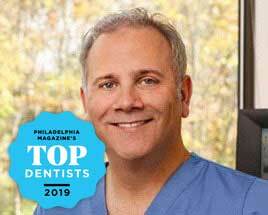 TMJ Treatment Chalfont Highpoint Dental Medicine Rated Top Dentist! We treat TMJ Patients from Chalfont, Montgomeryville, Doylestown, Warrington, Upper Gwynedd, Lower Gwynedd, Lansdale, Horsham, and surrounding. How can you tell if you have a TMJ Disorder? When you wake up do you have stiff muscles or soar around your jaws? Do you frequently get neck aches or headaches? If you clench your teeth dows the pain get worse? When you stress does your clenching and pain get worse? When you open your mouth can you feel and hear your jaw click, pop, grate, catch, or lock? When you open your mouth, eat or yawn Is it difficult or painful? Have you had problems with other joints such as arthritis ? Do you have teeth that fail to touch when you bite? Is it difficult to use your front teeth to tear and bite into food? Do you have sensitive teeth, worn, loose or broken? The more times you thought "yes," the the above questions the more likely it is that you have a disorder related to TMJ. Understanding TMJ problems will also help you understand how TMJ disorders can be treated. Various techniques used for stress management such as biofeedback or physical therapy may also be recommended, as well as a night guard. A night guard fits over your top or bottom teeth and helps keep your teeth separated, essentially relaxing the muscles and reducing pain. There are different types of appliances used for different purposes. A night guard helps you eliminate grinding or clinching your teeth and minimizes muscle tension at night and helps to protect the cartilage and joint surfaces. An anterior positioning appliance moves your jaw forward, alleviates pressure on parts of your jaw and helps in disk repositioning. It may be worn 24 hours/day to help your jaw heal. An orthotic stabilization appliance is worn 24 hours or just at night to move your jaw into the proper position. Appliances also help to protect from tooth wear. What about bite correction surgery?